Congratulations to all ballet dancers! Dedication, hard work and rehearsing have all led up to this exciting moment right before the big performance. 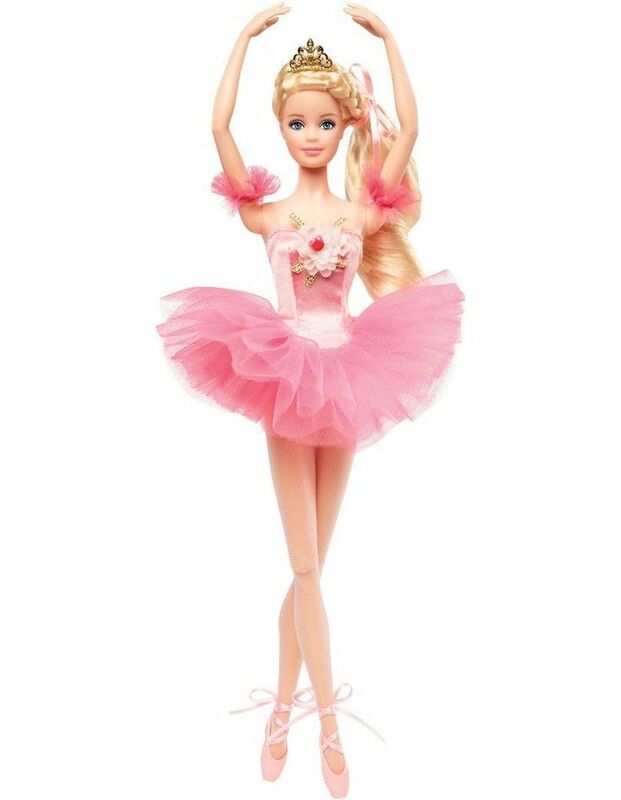 This beautiful Ballet Wishes Barbie Doll is ready for the big day featuring a ballet ensemble with layered tutu skirt and satin top. Additional details include a flower detail on the upper bodice, braided hairstyle with tiara. Pointe shoes with laced up ribbons are the finishing touch. May Ballet Wishes Barbie doll commemorate this special occasion, and inspire many happy memories from the big performance day. Includes doll, doll stand and Certificate of Authenticity.